The 11073 Series Burnishing Tools were designed specifically to manufacture fatigue-prone components in the Oilfield and Heavy Transportation industries using a CNC lathe. With proper use, these tools will enhance the fatigue life of your highly-stressed, high cycle components without slowing down your process. The three primary styles of the tool available are Straight, Right Hand 45° and Left Hand 45°. Each presents the roll at a different angle relative to the shank. Tool angle can be further rotated (via lathe turret) to meet specific profile requirement. The hydraulic tools are self-contained and do not require an external accumulator for use. Cold Roll Burnishing is often an OEM requirement of a particular component. For the end user of highly stressed, fatigue-prone components, cold roll burnishing is also a money saving process. 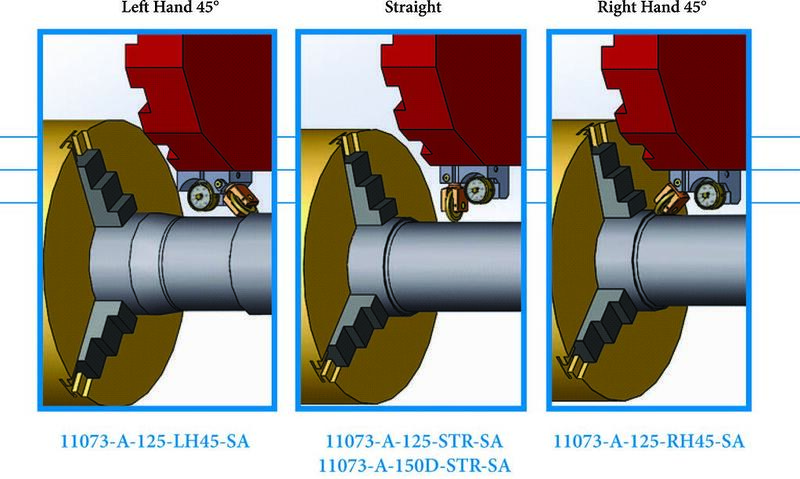 For example, in the oilfield industry, cold rolling can drastically increase the fatigue life of each rotary shouldered connection in a typical drill string. It can also reduce frequency of repairing connections in the field, and for having to fish for down-hole failures of the drill string. The estimates that the cost of a single down-hole failure can surpass 1 million dollars. In the rail industry, a recent report by the US DOT estimates the cost of the average train derailment at 22.5 million dollars. There were 19 derailments in the United States attribute to broken axles / wheel sets between 2011 and 2014, the yearly costs are staggering. 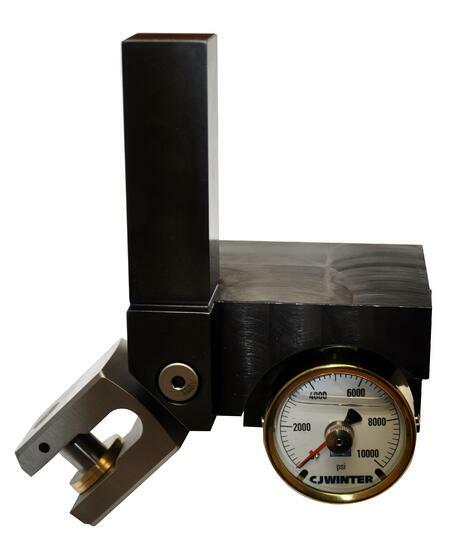 Cold roll burnishing reduces the likelihood of fatigue failures in critical-to-function parts. Our 60+ years of industry experience in thread rolls and thread rolling tools enabled the unique design for the 11073 Series, as well as the entire family of cold rolling tools that CJWinter has engineered for the petroleum industry’s rotary shouldered connections. The in-house engineering staff at CJWinter is always available to help with technical manufacturing situations, and to answer any of your questions.